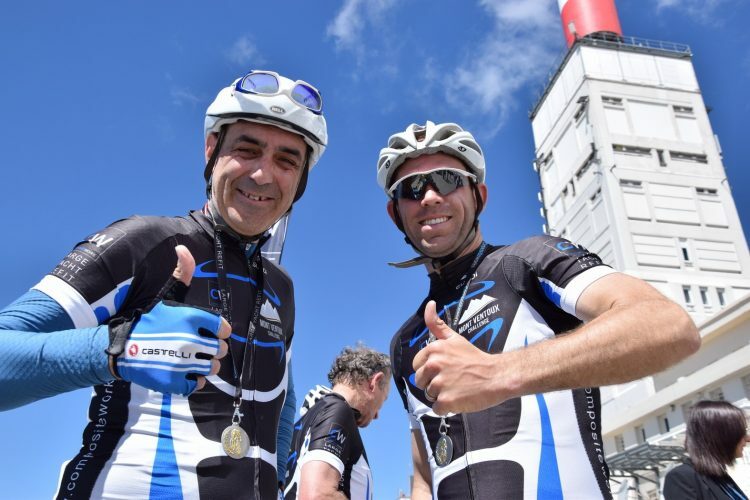 On 12th – 14th May, our marine lighting consultant, Claudio Zimarino, completed the 4th Mont Ventoux Challenge organised by Compositeworks. 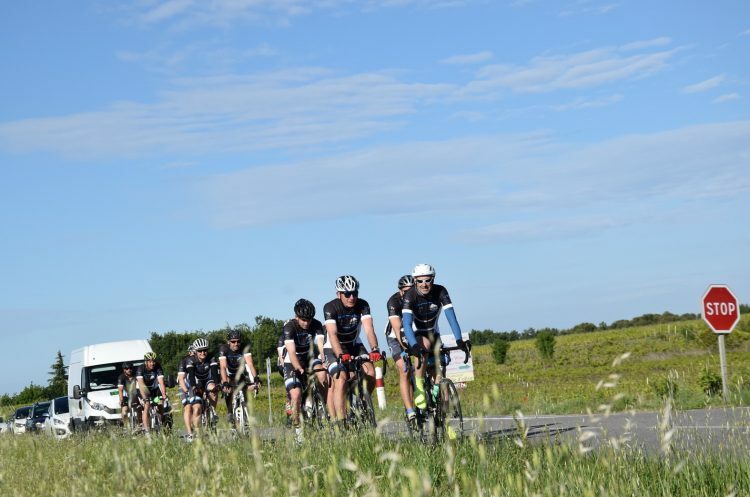 This year the challenge celebrated the 200th anniversary of the bicycle. It’s been 200 years since the German Baron Karl von Drais, invented the first “Draisine” bicycle and celebrated this amazing and timeless invention by propelling themselves up the Mont-Ventoux. As part of their work with Make a Wish Foundation, Compositeworks will donate 100 € to the Make a Wish Foundation for every ascent. 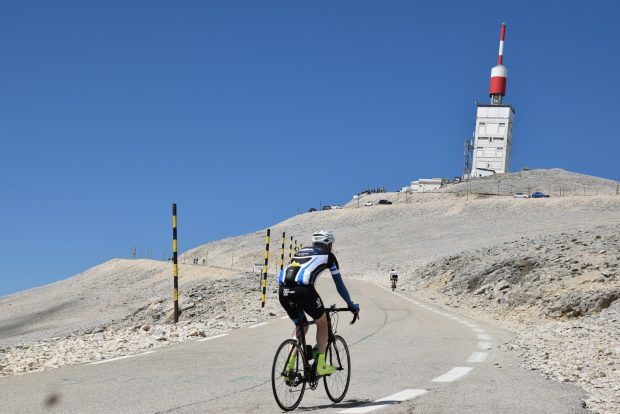 “Some say Mont Ventoux is the hardest of all the mythical Tour de France climbs and rightly so. 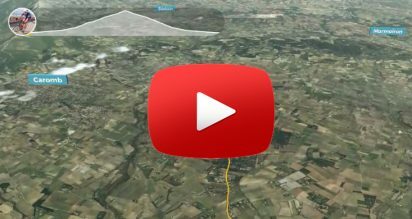 The length of the climb from Bedoin at 300m to the summit at 1,912m is 21.5km. 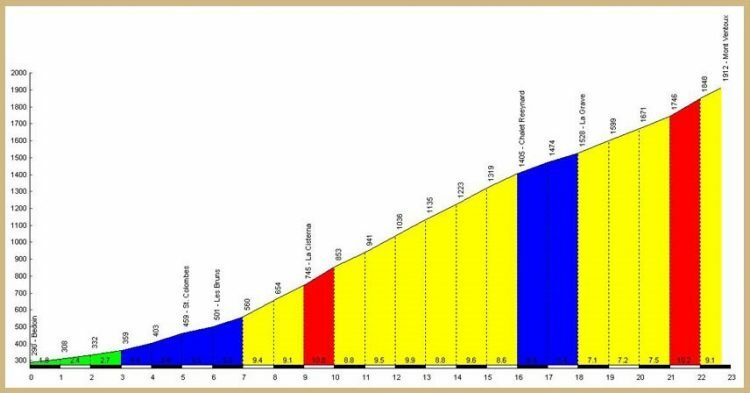 This gives an elevation of 1,612m and an average gradient of 7.5%. The mountain achieved worldwide notoriety when it claimed the life of the great English cyclist Tom Simpson, who died here on July 13th 1967. There is a memorial to Tom near the summit which has become a shrine to fans of cycling, who often leave small tokens of remembrance there. 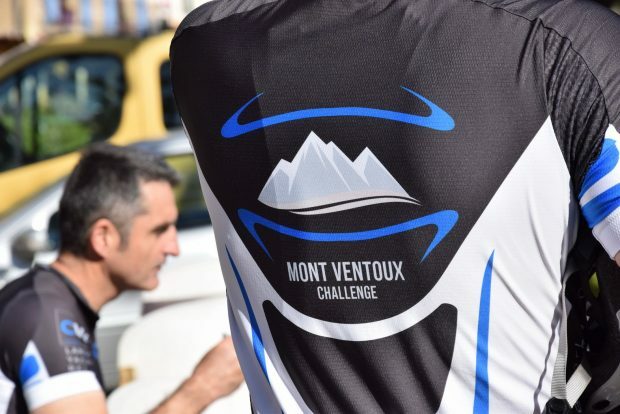 The 2017 Mont Ventoux Challenge very well organized by fellow cyclists of the yacht refit company Compositeworks followed the ascent from Bedoin that is the classic way up the mountain. We started in groups that after a few kilometers scattered with the fittest moving faster up the climb into the first segments with an average gradient of over 9% and many over 11% / 12%! Your legs become stiff after a short time and it is then when you start regretting the ride. But it is not over yet: if you are unlucky you will be battling into the wind in the last 6km that is named ‘The Moon’ because of the landscape at that altitude and all the way to the top is made of stones only. Arriving up here the air is rarefied which makes things more complicated. It will feel like a gradient of 12% again with the last 1500m from the Simpson Memorial at 10% but by this time you won’t really care. Either you have given up or you are already at the top cheering the victory of your own challenge accomplished!